The bottom web frame uses similar construction to the top web frame. It differs in how it connects to the case sides. 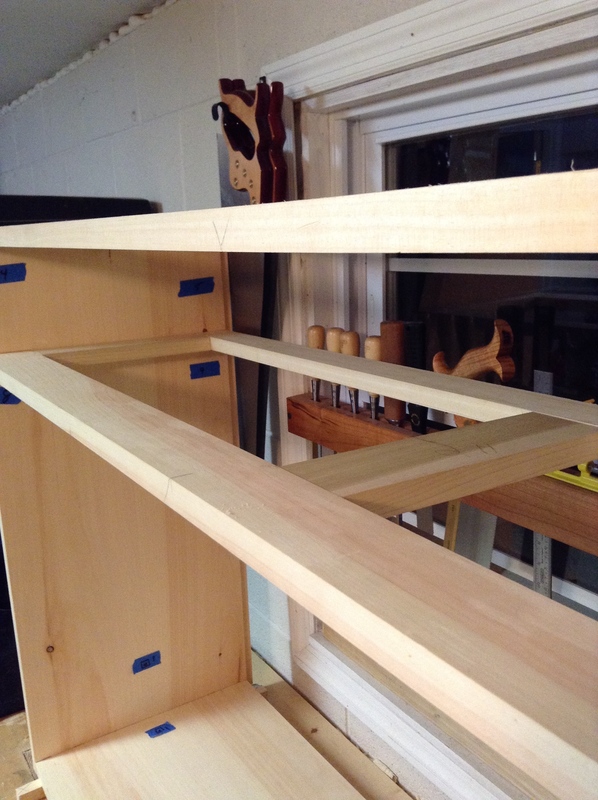 While the top web frame is dovetailed (half-blind) into the top of the side, the bottom web frame is joined with dados. If you have downloaded the Sketchup model for this project, you can see there is a dado on the front and back of the case side to receive the front and back pieces of the web frame. 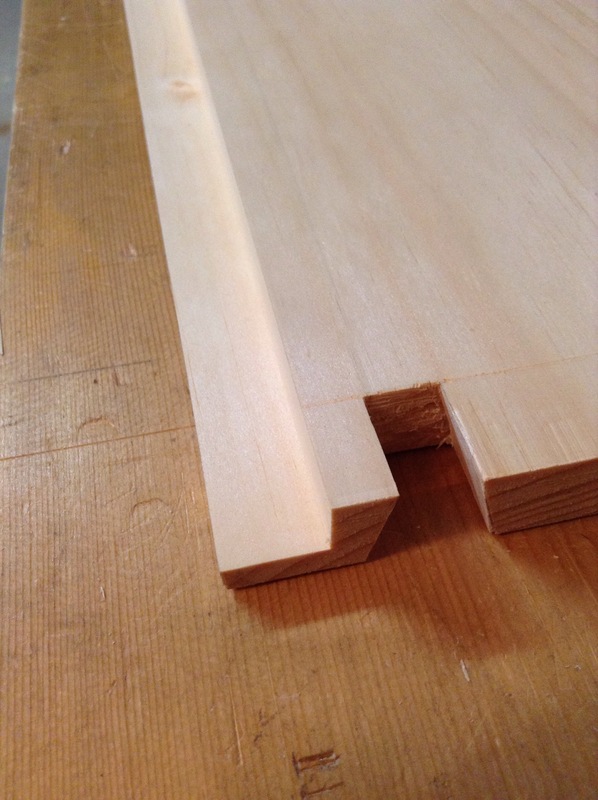 That dado is not continuous across the width of the side pieces. I forgot to take a photo before I glued it up. The rest of the frame is similar construction to the top web frame where the ends and middle of the web frame are allowed to float within the web frame to allow for wood movement. 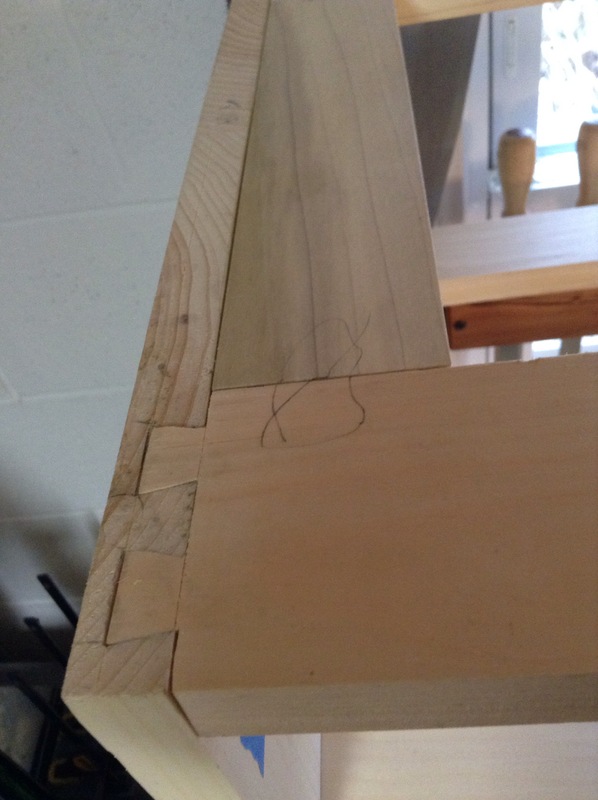 I repeated this same process of only gluing in the front mortise and tenons and leaving the back free floating (with-out glue). The middle divider in the bottom web frame matches the construction of the top web frame. These will eventually be connected with a “divider” piece at the front and back of the case, which will further define the drawer locations. 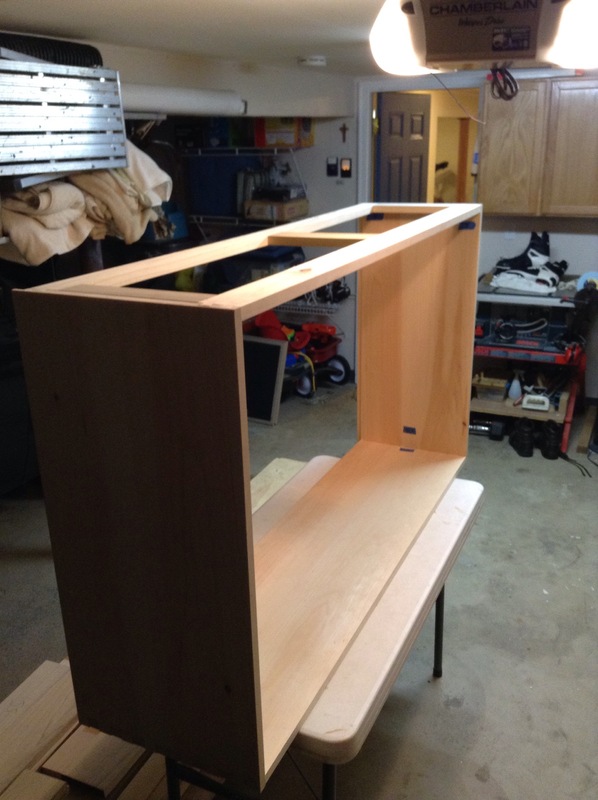 There will also be a runner that “runs” front to back on that middle divider that will help guide both drawers into and out of the case. 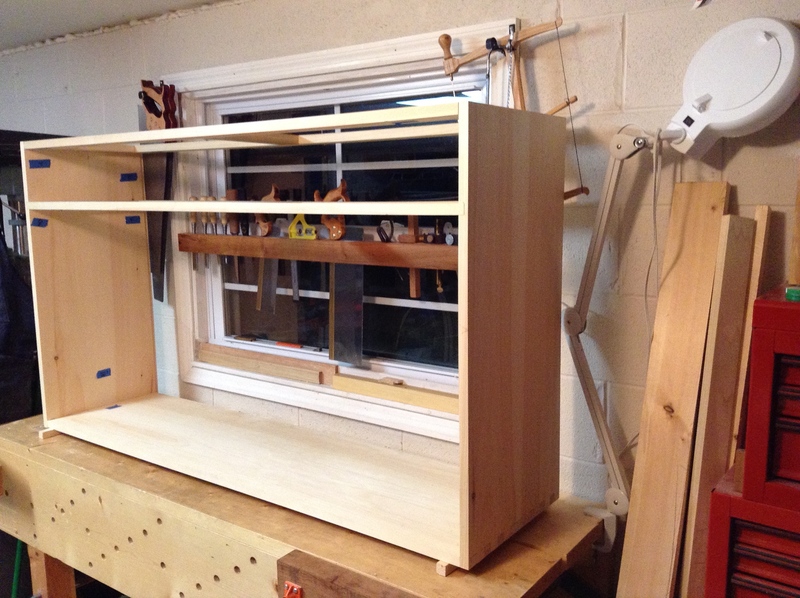 Next up should be the dividers that define the drawer and door locations. This is part of every project that I enjoy. It’s a great way to get into the groove. 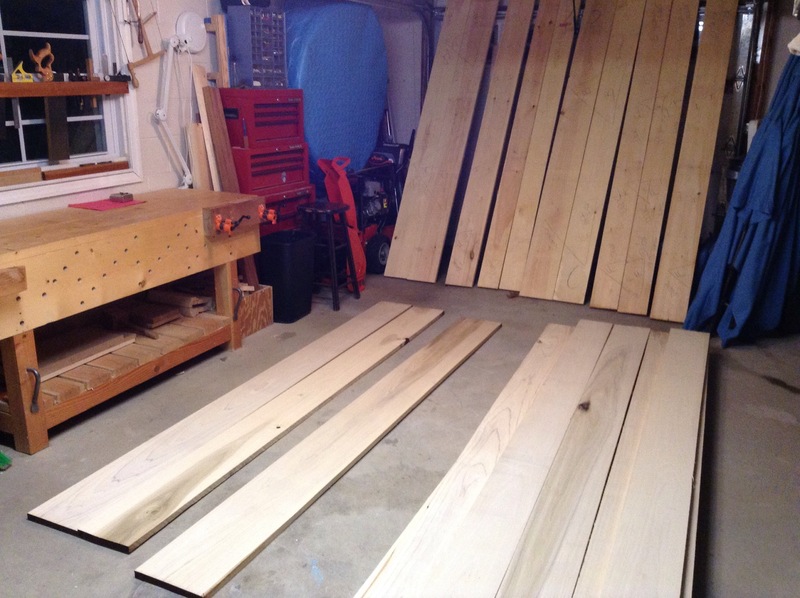 I started (bottom, right side, and left side) first cutting all parts to rough length. 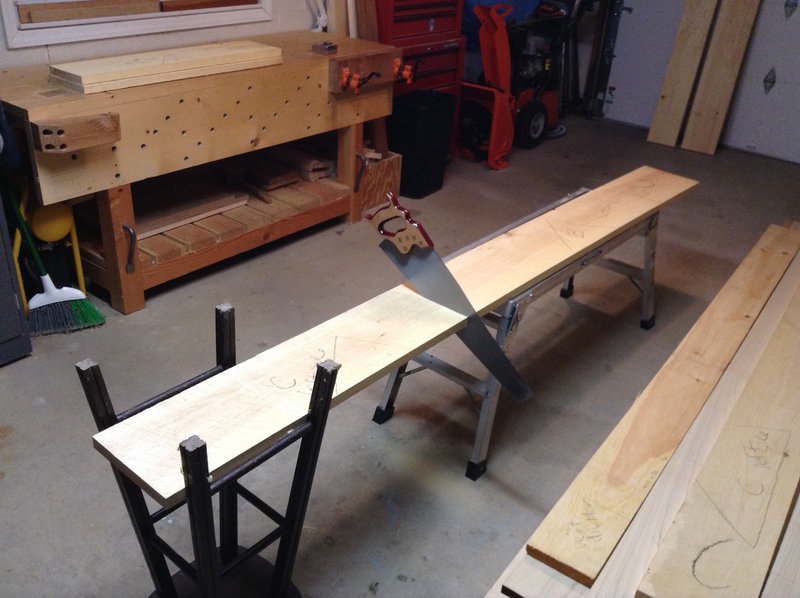 Here you can see, I lack a saw bench. However, the step stool and upside down chair stool have been serving me well for a while. 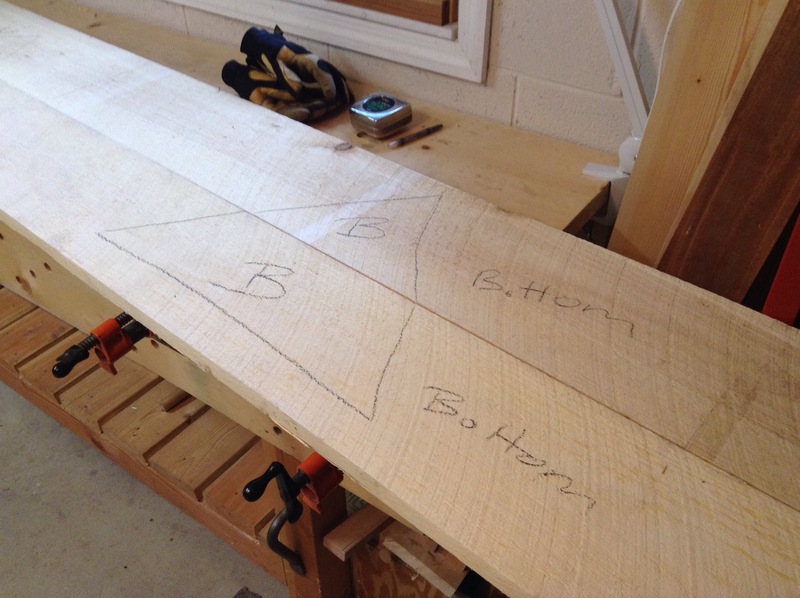 The next step in this process for me is to flatten each board across it’s width. I am also checking, and adjusting, for wind if there is any. There’ my handy-dandy homemade winding sticks. 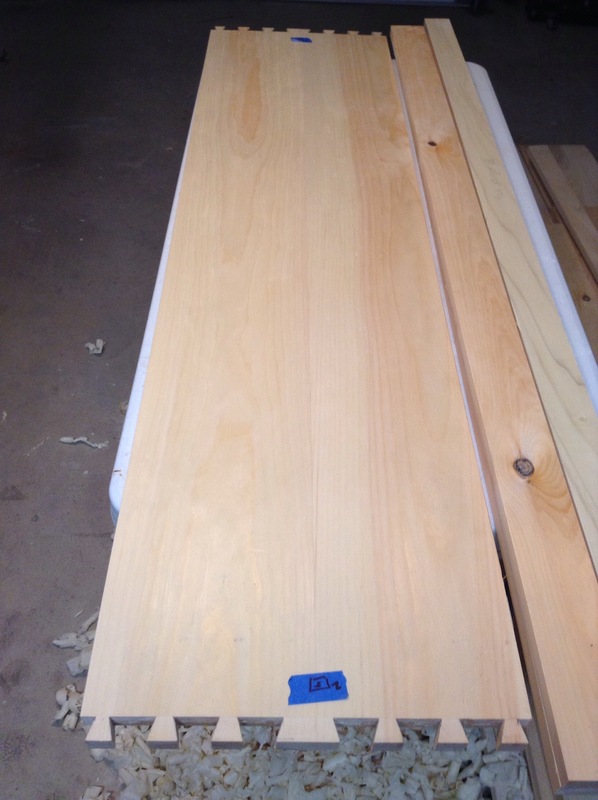 These Eastern White Pine boards were in the rough, and came to me significantly over 1″ thick. 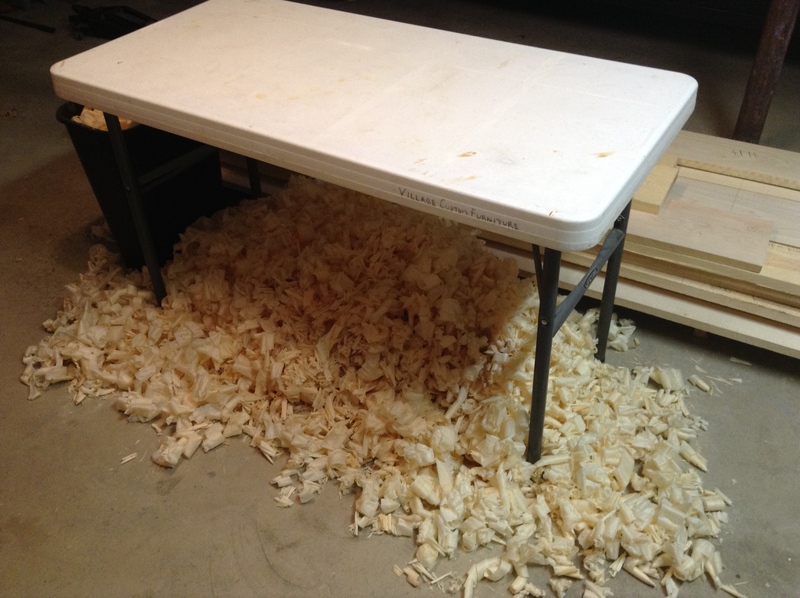 I removed a lot of wood off each board as there was a decent amount of cupping on every board. This cupping was no match for my #6 jack plane, which I have set up with a very aggressive radius. You might be able to make out the marks from that radius in the photo below. 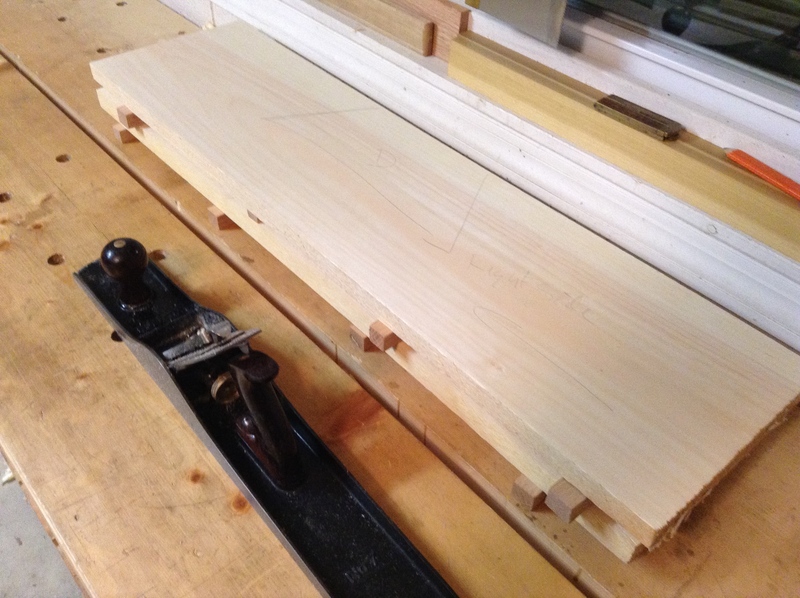 With this nice soft pine, I was able to hog off a ton of material in a short amount of time. 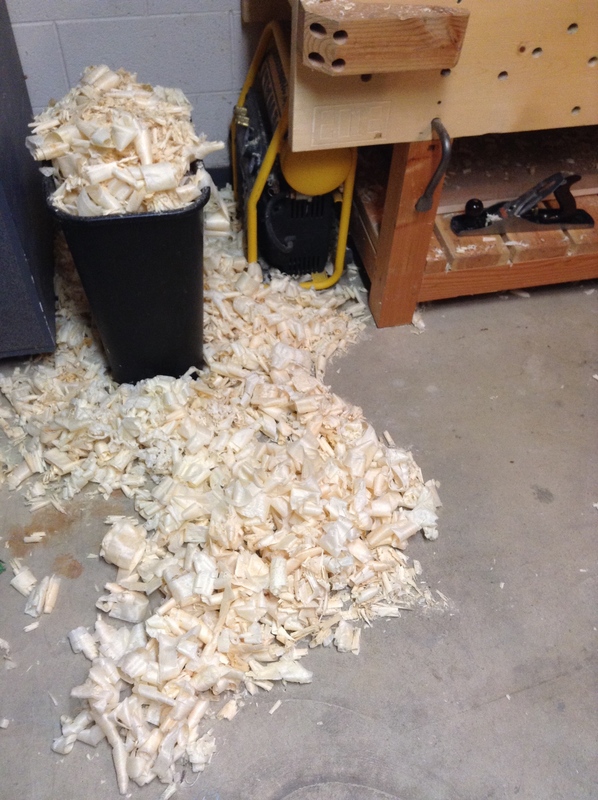 The shavings bucket was overflowing some. 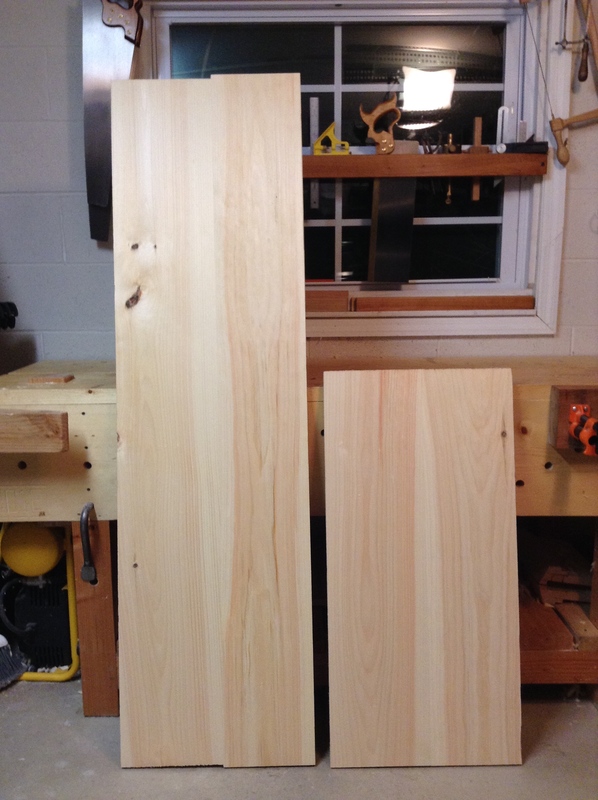 From there, I cleaned up one side of each board that I was joining together to make the panels I needed. I purposely leave the other side as is. The reason I don’t flatten and true the other side? Economy of motion (I hope that’s the right saying). 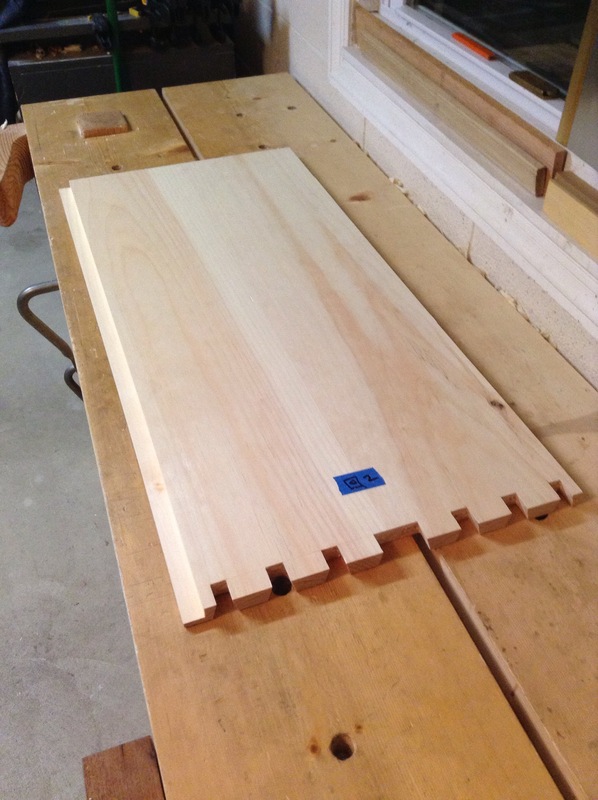 I would rather spend my time flattening and truing the entire panel, rather than each board individually…basically saving a step. 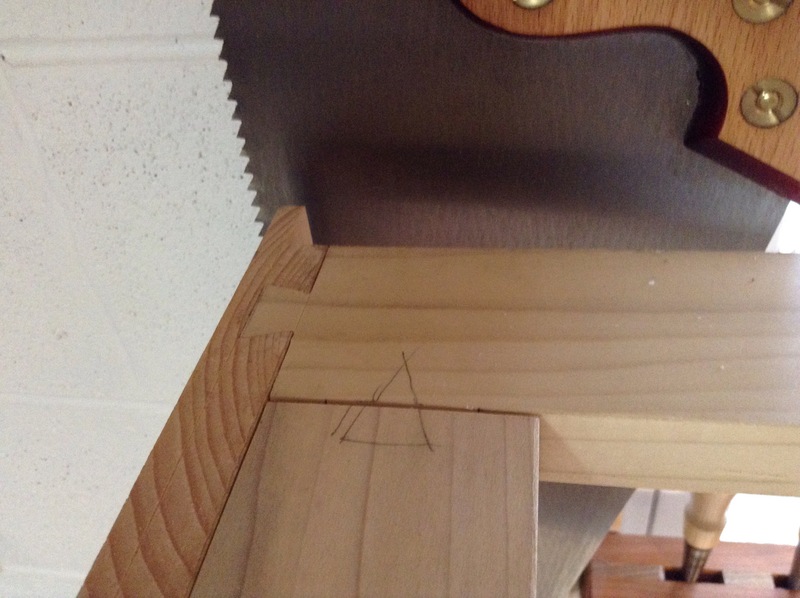 There’s also another trick I use (using complementary angles to edge glue the boards of a panel together) which I will save for another blog post. 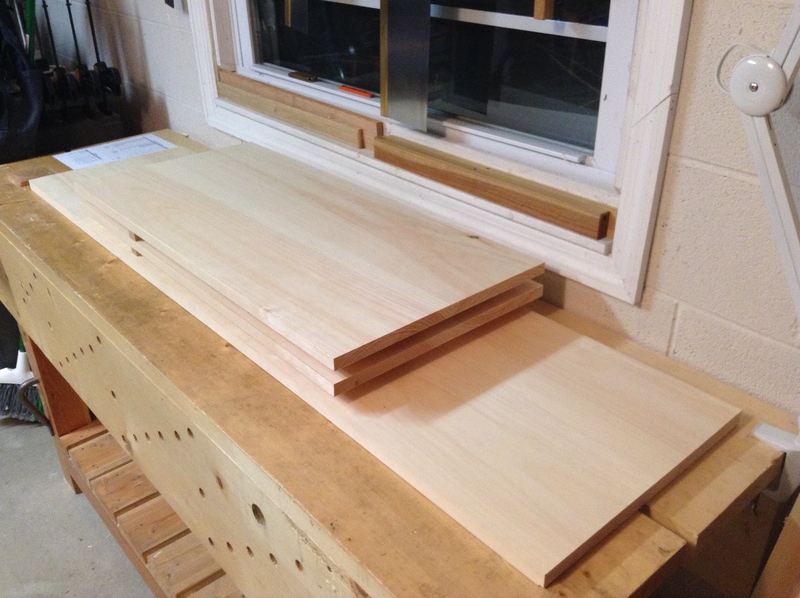 This is me stickering some panels while they wait for glue-up. Here’s the bottom panel and one of the sides. 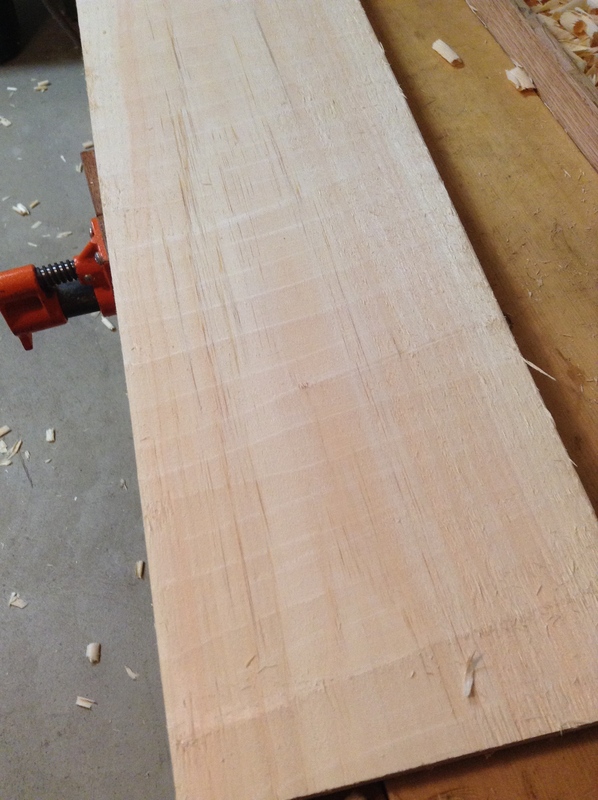 I’m liking the way the grain of this pine is turning out. The last thing I had to do to finish preparing these panels was to bring them to final finished dimension – which includes squaring them up. 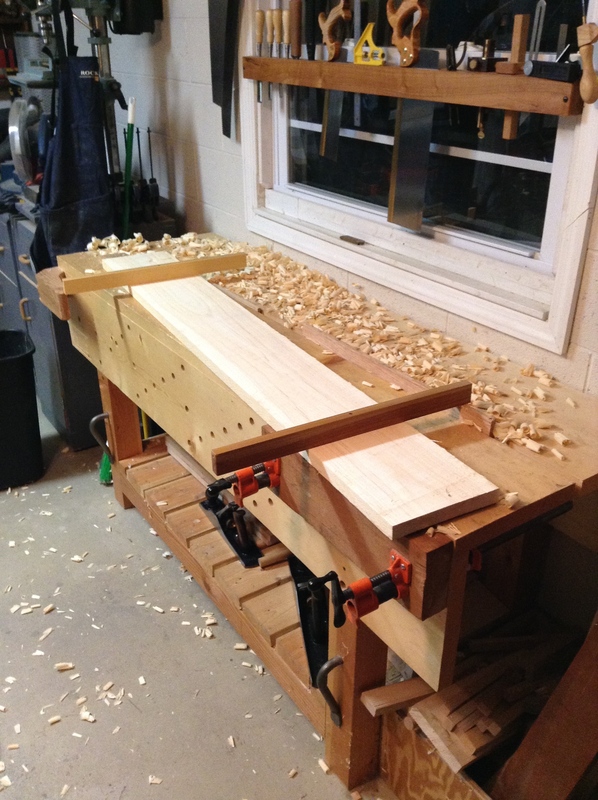 Glad I built that shooting board this winter…it came in handy. 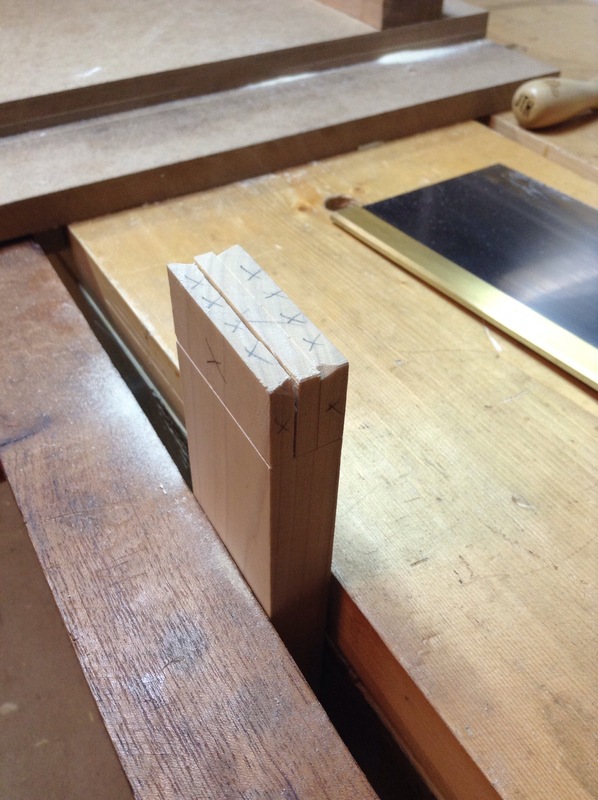 Here’s the panels – awaiting their dovetails. Here’s some shop waste piling up. I’ve been to busy sawing and planing to make a run to the compost pile. Here’s a pic of the design. Clicking on the link will take you to my Sketchup Models page. From there, a click on the pic will take you to the 3D Warehouse in case you would like to download the model. The carcase is constructed with dovetails at the bottom and at the top where it joins a web-frame. There is a second (lower) web-frame that supports the drawers, and also serves to create a division between the drawers and the lower cabinets. There’s also a divider panel that separates the two lower cabinets. 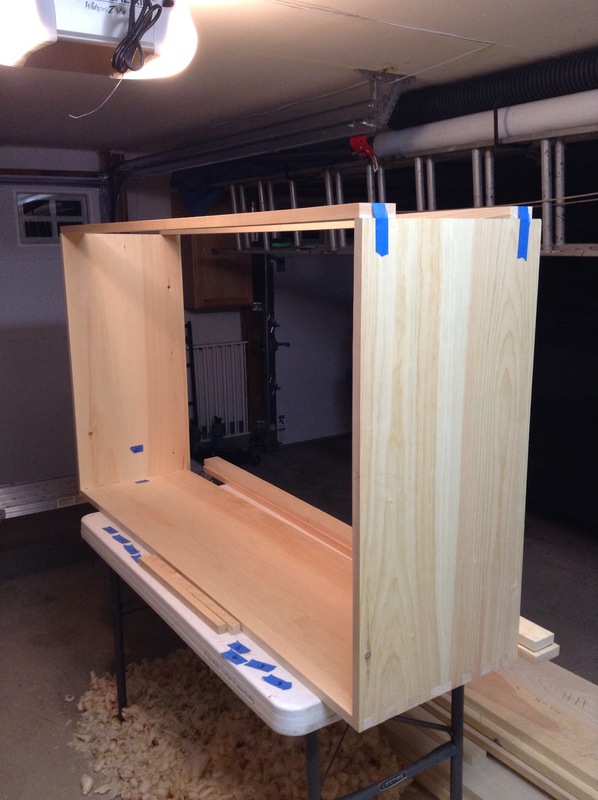 The doors are basic frame and panel construction. 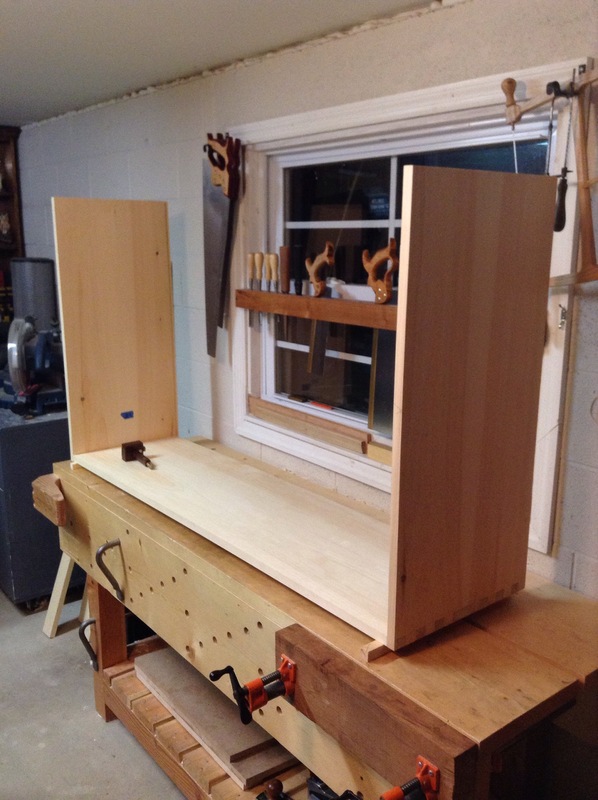 They will feature mortise and tenon joinery with a floating panel. The drawers are constructed with half blind dovetails at the front and through dovetails at the back. 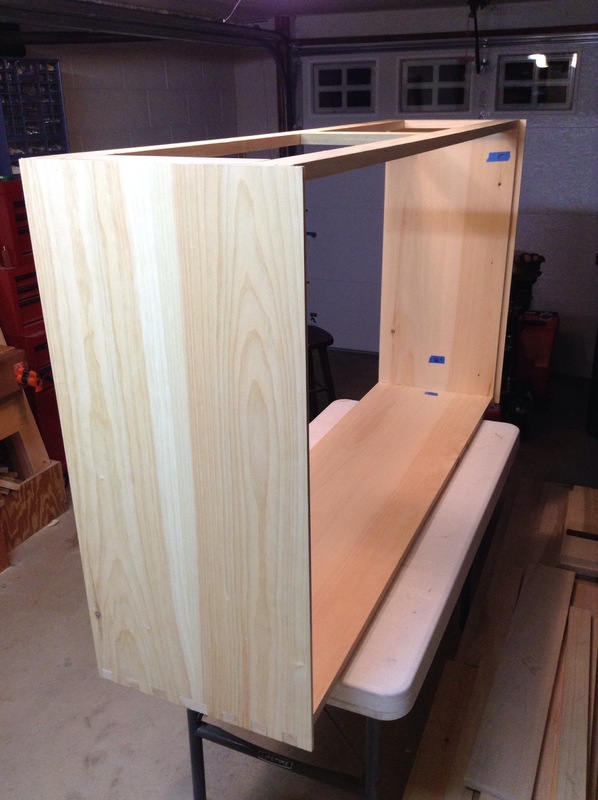 The “panel” for the bottom of the drawer will float, allowing for wood expansion at the back of the drawer. 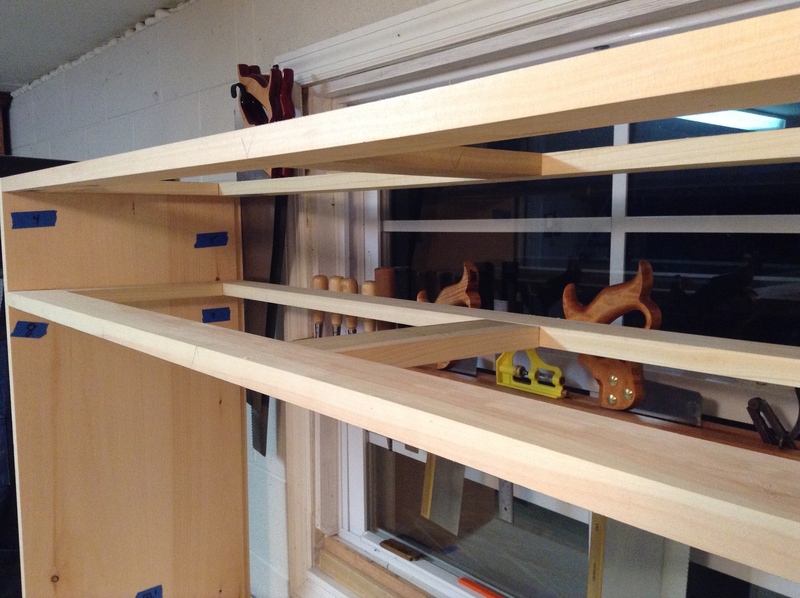 I am going to attempt to make my own moulding for the top and bottom moulding on this project. I came up with something for the model, but that design is not yet set in stone. Actually, anything at this point is fair game…I usually make some changes as I work my way through the build. 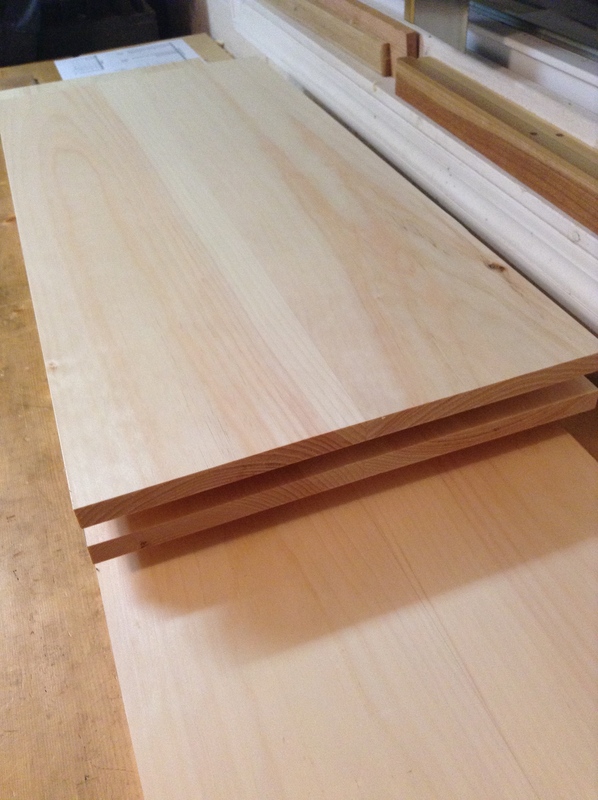 As I mentioned in the previous post, all the exterior portions of the sideboard (except for the back panels) will feature eastern white pine. 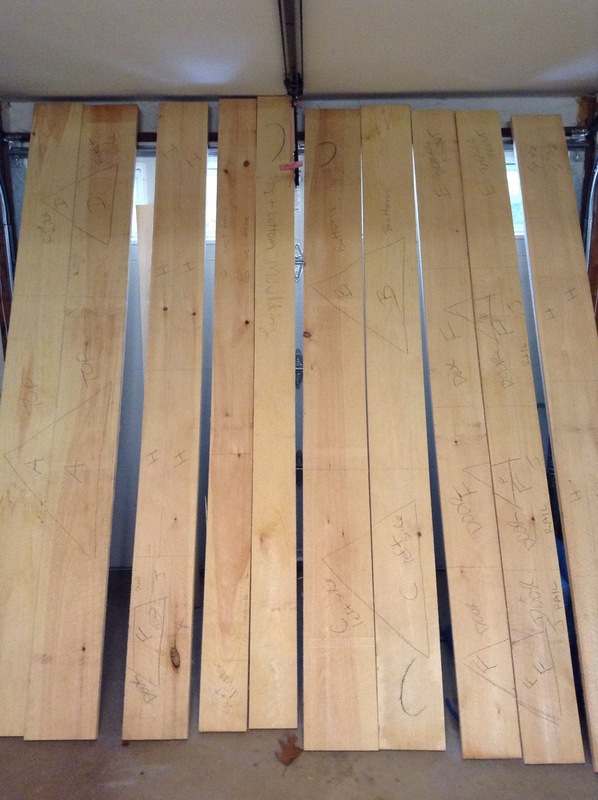 All interior portions will be constructed with poplar…the back panels will be poplar as well. 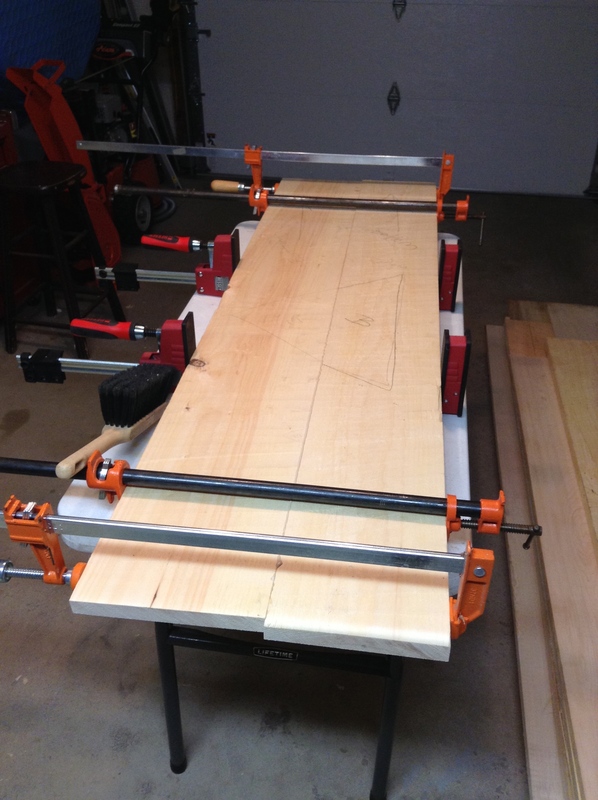 The poplar is going to save me some cash, and should wear better on those drawers over time.